The story of how grit and determination created an encyclopedia for the modern world. Denis Boyles doesn’t mention red rot or, for that matter, the minuscule type of the smaller-size cloth-bound edition of the 11th, but Everything Explained That Is Explainable doesn’t overlook much else. Boyles’s account of how this classic reference work came to be published in 1910-1911 makes for enthralling business history...Besides being a biographical and narrative history, Everything Explained That is Explainable is something of a dossier as well. Not only does Boyles reproduce many photographs and period illustrations, he also quotes frequently and at length from myriad letters, Haxton’s various advertisements, newspaper reports and the memoirs of Janet Hogarth, who oversaw the indexing of the 11th and outlived all her colleagues. Even Boyles’s notes and appendices proffer additional anecdotes and useful bits of information. 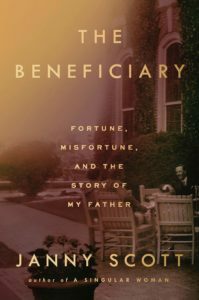 ...entertaining if sometimes maddening...Boyles takes a long time getting to the ostensible subject of his book. He takes detours and digressions through the worlds of newspapering and book publishing in chapters that will be of interest to specialists only. Like the reference work he details, Everything Explained That Is Explainable tells you a lot you don’t know — and even more that you perhaps don’t really care to know. Still, Boyles writes with such a mordant touch his chapters move along even as they assault you with hurricanes of information. In a highly readable style, nicely seasoned with occasional ironic touches, Denis Boyles limns the intricate business negotiations that went into the creation of the Eleventh Edition...Mr. Boyles provides excellent portraits of the key figures responsible for the 19th- and early-20th-century editions of Britannica. His last chapter is given over to the Eleventh’s mishandling, owing to its having been a work of its time, of such key, and in our day super-sensitive, subjects as Women, African-Americans, Native Americans, Asians, Arabs and its difficulties with Catholic and Protestant readers. None of this finally diminishes the overall accomplishment that is Encyclopaedia Britannica’s Eleventh Edition. 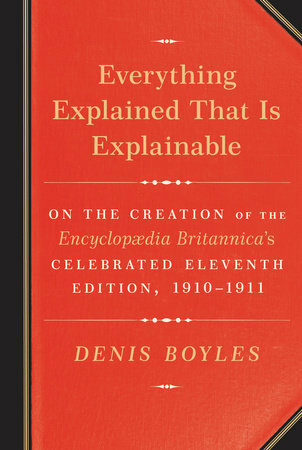 What did you think of Everything Explained That Is Explainable: On the Creation of the Encyclopaedia Britannica's Celebrated Eleventh Edition, 1910-1911?